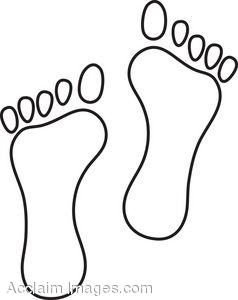 The surf coast encompasses the long white beaches of Seymour, Chain of Lagoons, Four Mile Creek, Falmouth, Scamander and Beaumaris. Surfers can be happy all year long here, with reliable swells and a mild climate, even in winter. 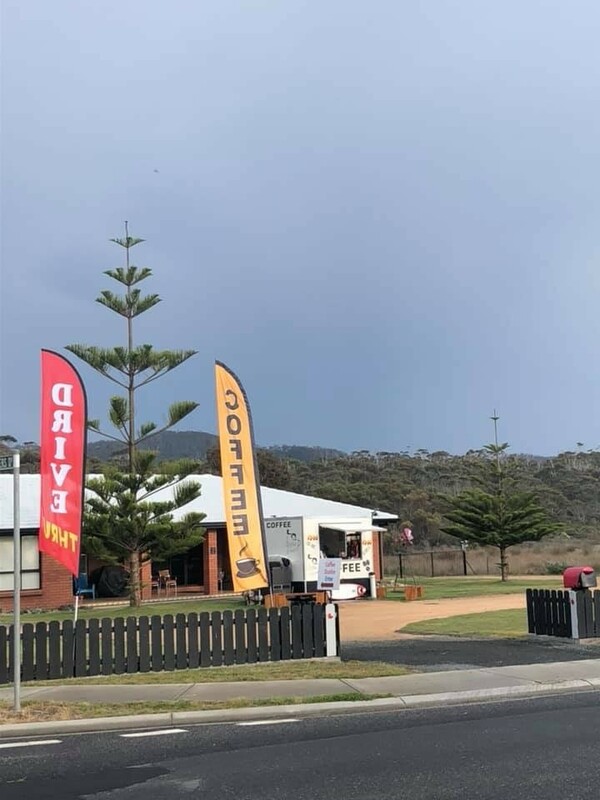 This is true get-away-from-it-all territory, with accommodation ranging from self-catering holiday houses, caravan and cabin parks and excellent free camping, to comfortable ocean-side hotels, motels and resorts. When you’ve caught enough waves, recharge your batteries with beach walks, estuary fishing, whale watching or sampling the local produce with a meal in a local restaurant, pub or café. 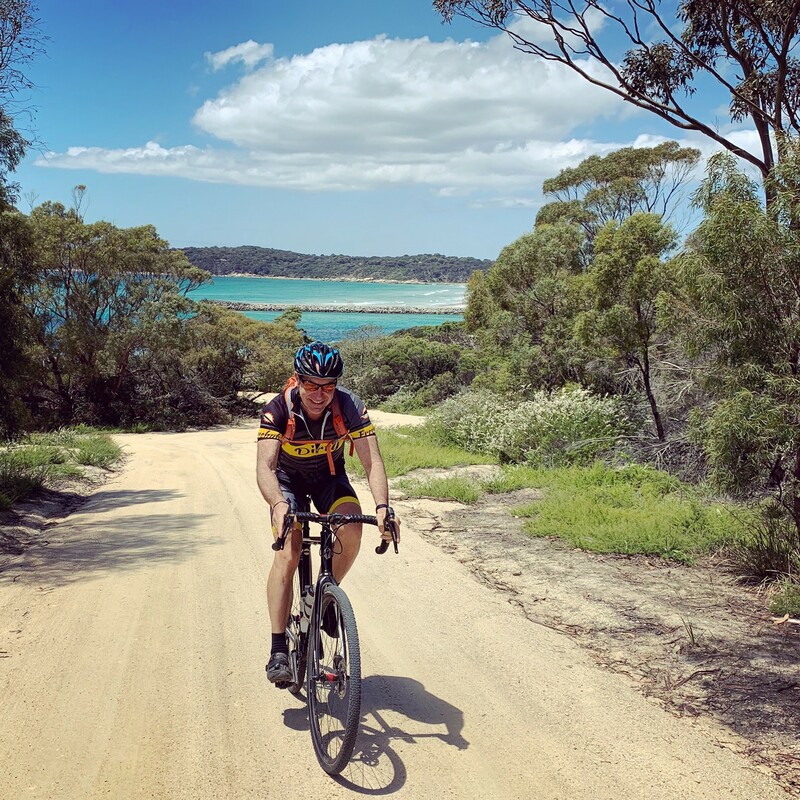 Take some time to stroll through coastal towns, like Bicheno and Scamander, and browse in local shops and galleries, or join a wildlife or sightseeing tour. Or, take a drive off the coastal road and visit Douglas Apsley National Park, located inland from Bicheno, where you’ll find some excellent short walks, including Apsley Waterhole and Lookout (10 minutes to the lookout, or take a 2-3 hour return walk from the river) and the Apsley-Myrtle Rainforest walk (30+ minutes). If you have time, you could also take the more challenging overnight walk to Heritage Falls and the Rainforest Circuit (7-9 hours return). 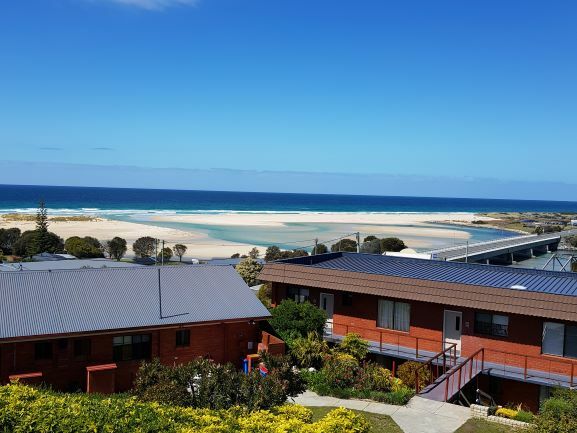 The Beaumaris Beach Pad is your coastal retreat; perfectly positioned across from the pristine surf beach of Beaumaris on the sunny north east coast of Tasmania. 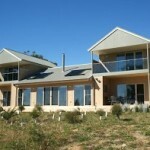 A great base to explore the Bay of Fires, Freycinet and St Helens. Take long beach walks, surf, swim, or simply relax! Blue Sea Holiday Villas offers fully self-contained, un-serviced studios and villas, one and two bedrooms, and family accommodation set in park like gardens with sensational views of the ocean, beach and river. Carmen’s Inn Scamander is just 200m to the beach and our self contained holiday units have all the comforts of home – just kick off your shoes and relax to the sound of the waves. Rates from $85, free wifi, one and two bedroom units and located right in the middle of everything the Great Eastern Drive has to offer. The Coffee Mug is unique on the East Coast as being the only drive thru Coffee stop. With plenty off street parking and restroom facilities across the road. Located at the northern end of Scamander at Wrinklers Beach, where the Cafe Racer motorbike is set in concrete. We offer Coffee, Toastie’s, Slushies and homemade biscuits. Eftpos available. Look for the orange flags. Four Mile Creek B&B is located on a bush block on the East coast of Tasmania. It has two in-house suites and one self contained studio apartment which has cooking facilities. 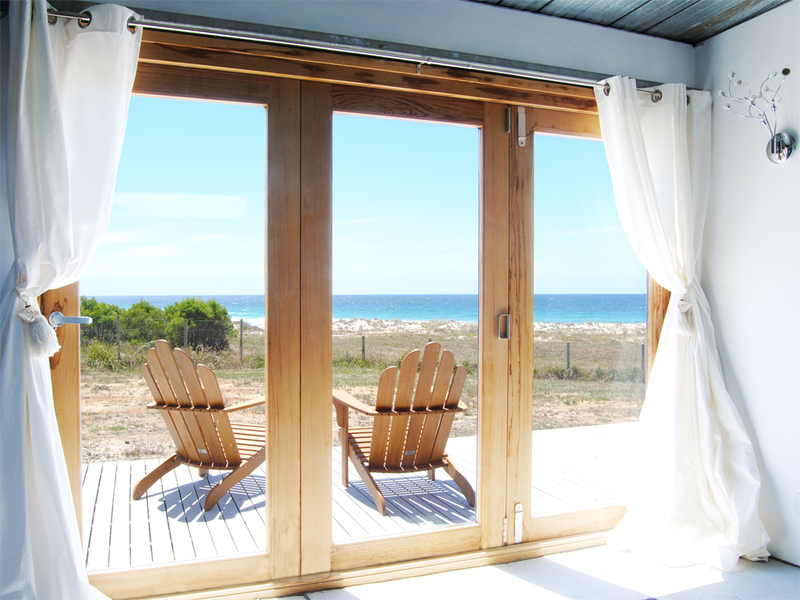 Malibu on the Beach is a purpose-built, self-contained holiday house situated on the white sands of Four Mile Creek Beach, an idyllic 1.6km stretch of ocean beach conveniently located between the Bay of Fires and Freycinet Peninsula. Nestled within more than 5 private beachfront acres, experience the accessible isolation of this unique location whilst enjoying world-class holiday accommodation. Max’s is a great base to explore the East Coast and all that it has to offer. 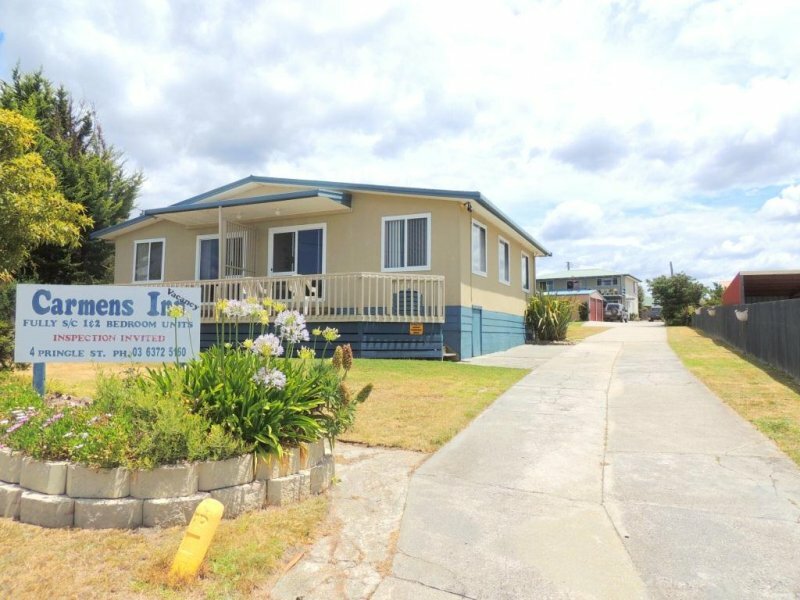 The property has a great view and is close to beaches, surf, restaurants, cafes, supermarket, pharmacy, pub, post office, golf, fishing, park, skate park and Scamander River. The house is warm, comfortable and well equipped for an enjoyable stay. Enjoy the movies, books, Fuss Ball Table and games provided. Enjoy a yarn, points of interest, local history, unique flora and fauna, pristine forests, breathtaking views, secluded bays. Saltwater Sunrise is an indulgence for the body, mind and soul. There are three separate and private, luxurious villas, all with glorious oceanfront views. Be awed by sun and moonrise over the ocean and the freshest air and energy of millions of stars. 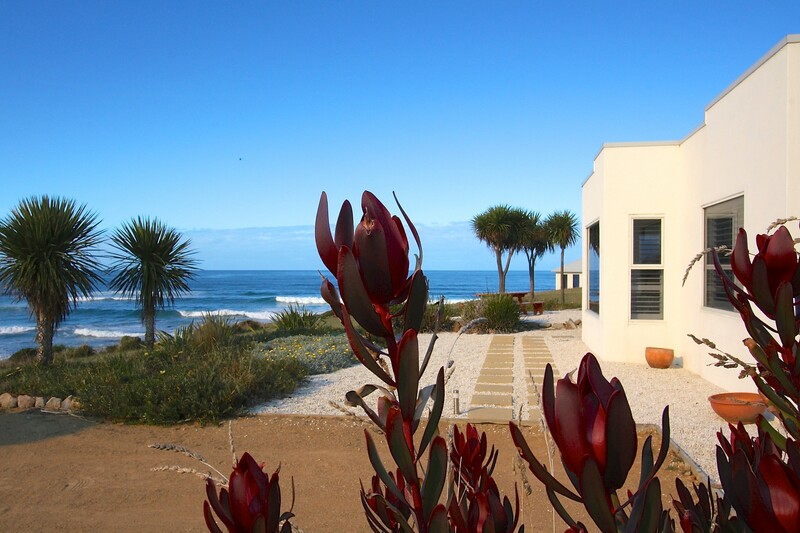 Wander the foreshore to your own private beach, pick beautiful flowers, discover rock pools and exquisite shells. 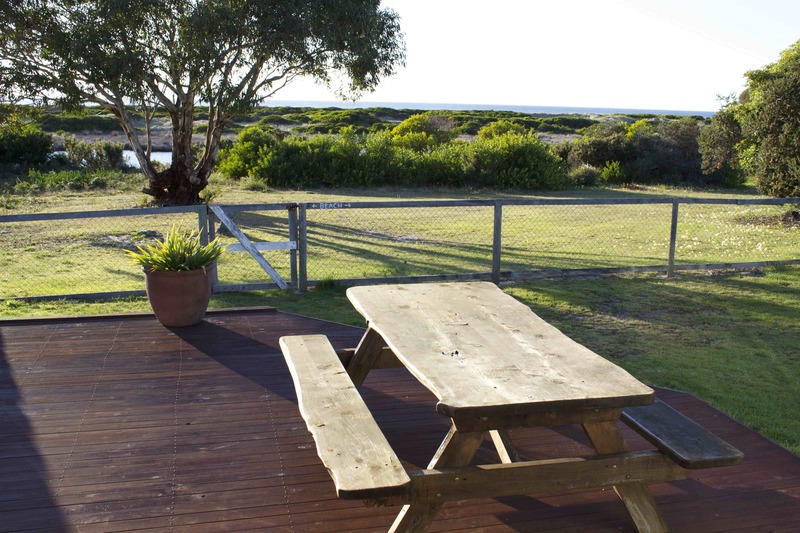 Most rooms have spectacular panoramic views of the Scamander River and Tasman Sea. Adjoining family rooms available with access to garden, playground, 1/2 tennis court & outdoor pool. Bar with UBET and Keno, Bistro and Bottleshop open daily. Guest laundry and on site parking. Only 2 minutes walk to beautiful beaches, surf and river fishing. 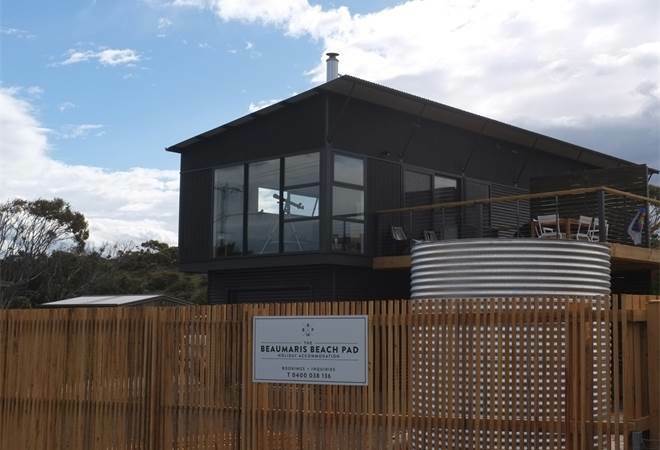 Located opposite Tasmania’s premium east-coast surfing beach with uninterrupted views of waves and Scamander River mouth our beach shack is a year round getaway. Especially suits surfers or fisherpersons. 3 bedrooms, everything for a great holiday. A very picturesque and scenic 9 hole golf course with large greens and well grassed fairways and roughs. The signature hole is the 4th hole which is a par 5 and measures 570 metres for the men and 469 for the ladies. This is the longest par 5 in Tasmania. 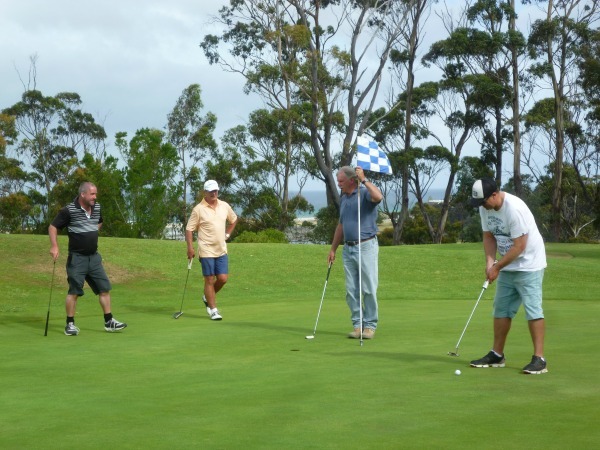 Golf carts and clubs are available for hire and green fee players are welcome anytime. Competition days are Tuesday (ladies), Wednesdays & Saturdays. Scamander Sanctuary Holiday Park offers 2 glamping style accommodation choices. Our fully self contained safari tents, complete with en-suite, T.V, private BBQ, camp fire, and private outdoor eating areas are right on the edge of the reserve, perfect for spotting native wildlife and birdlife. Our Couples Bell tents offer a luxurious back to basics experience. Bell tents have a queen bed, tea and coffee making facilities, private deck and fire pot, T.V, and are a short walk to the amenities and shared kitchen/BBQ area. Enjoy direct access through the reserve onto the pristine Steele Beach, perfect for surfing and fishing. The Winifred Curtis reserve is a few minutes away perfect for a walk through the wetlands. Scamander, on the east coast of Tasmania, is the gateway to the Bay of Fires and an ideal location to explore all the area has to offer. 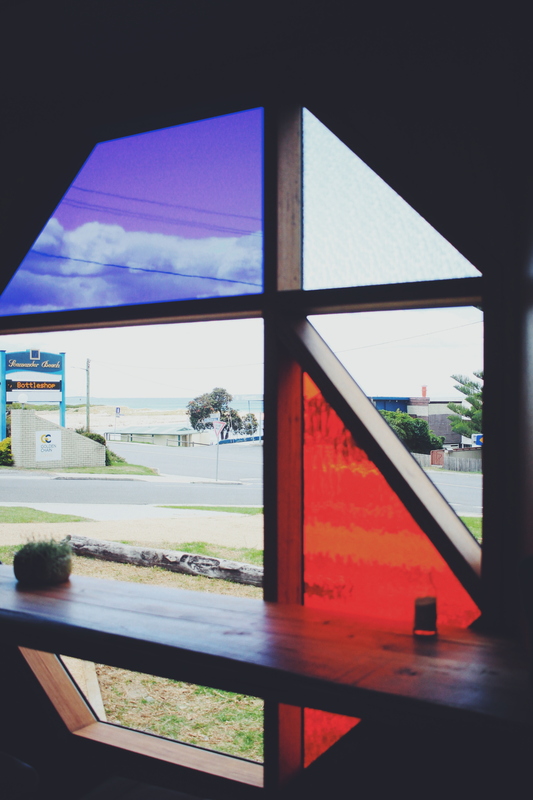 A cafe built from a recycled shipping container, Swims serves specialty coffee and simple food. The casual atmosphere and ocean views make this a popular stop for locals and tourists. Meet The Mariner, a Scandinavian-inspired oceanfront hideaway nestled on the rocky shores of the Tasman Sea in the coastal hamlet of Falmouth. 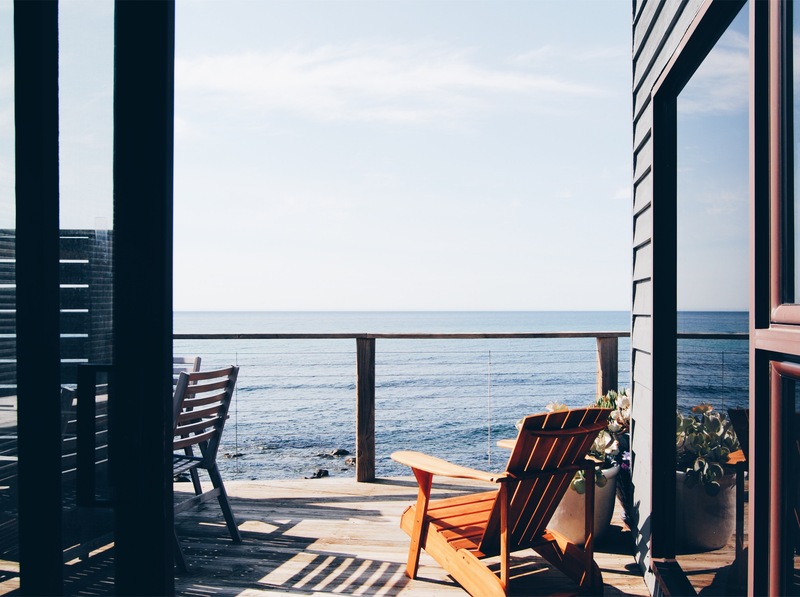 Wake to the sound of the waves outside your window and take in the peace and refreshment of this seaside holiday retreat. The Mariner sleeps up to 6 guests in two king + two single beds (3 bedrooms). 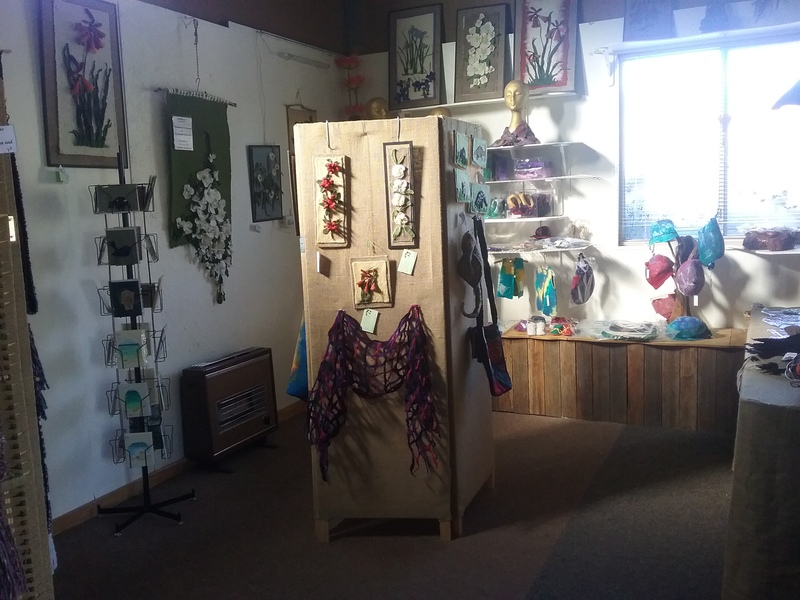 My work varies from hand felted and woven articles, to wallhangings with my focus on our flora and fauna. Open weekends 10am – 4pm, and public holidays or by appointment. 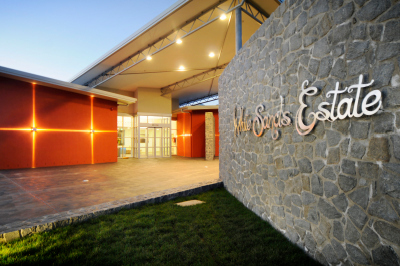 White Sands Estate – Oceanview Villas, Beachfront Conference facilities, IronHouse Brewery, Bar and Cafe, IronHouse Vineyards and extensive facilities. 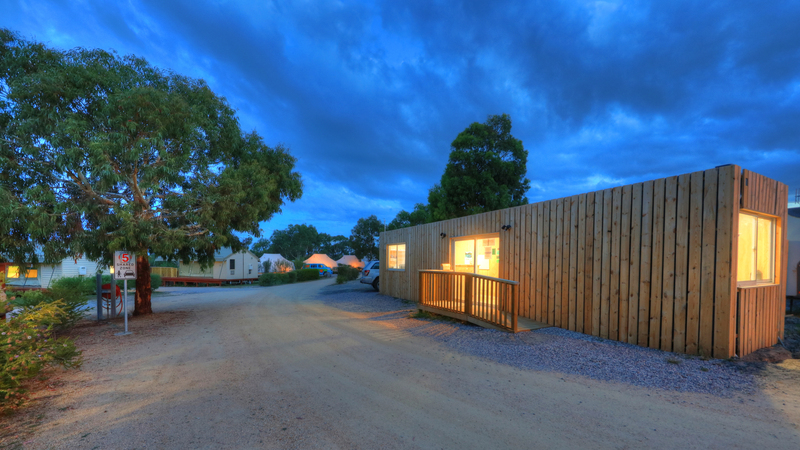 Situated halfway between St Helens and Bicheno, we are ideally located for you to enjoy all the east coast has to offer including Freycinet National Park, Bicheno Penguins & the Bay of Fires. Tariff from: $180 – $350.